Love teh colors!!! This yello is just perfect! love the gold contrasting heel and toe and cuff!! It’s the first time I try that and I love it! 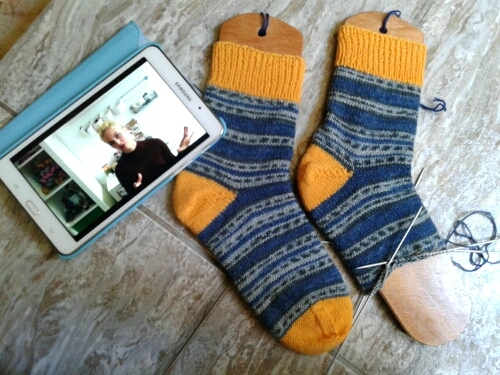 All my leftovers will be knitted this way and I’ll have another beautiful pair of socks! I really like how that yellow looks with the blue! So pretty! Thanks Kim! I look forward to see your socks! Thank you Sierra! Oh your socks are so amazing! You are a big inspiration for me!